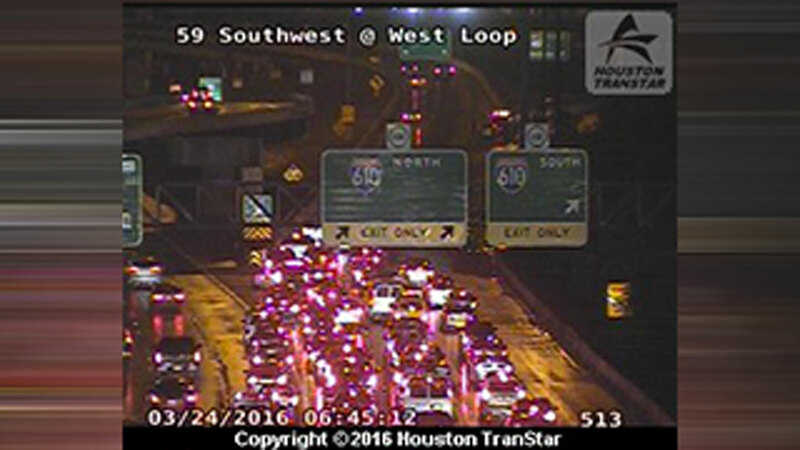 HOUSTON (KTRK) -- After this morning's heavy rains, ponding on the inbound lanes of 59 Southwest Freeway at 610 West Loop is slowing traffic as vehicles attempt to navigate through the minor street flooding. The high water has the right lanes blocked, causing drivers to merge in the left lanes. Make sure to give yourself extra time this morning on your way to work or school.